It's funny how coincidental things in life can be, the last film I watched: Inoperable was about a woman trapped in a time loop, and now with director and writer J.Horton's The Campus we have a movie in which a woman finds herself also trapped in a time loop. I will repeat what I said then in that I really enjoy films with this type of concept. With this one we have something that feels like an eighties trash flick but which has burst into existence in modern day. This is both a blessing and a curse, a blessing in terms of the sheer inventiveness and huge amount of blood and gore, a curse in that we have under developed characters, not least with the main lead Morgan (Rachel Amanda Bryant). I enjoyed the places this went, at times The Campus feels like an anthology in the way that each 'life' Morgan gets comes with it a whole new host of obstacles and genre specific trials to face. She finds herself at the mercy of masked psychos, ghosts, zombies, demons, even getting attacked by a mannequin and a reanimated taxidermy animal at one point. These different repetitions of the same half hour or so always brought with them something different. One loop has her in a backwards world, another has her in the middle of a zombie apocalypse (obviously my personal favourite part), another has her slowly mutating. For me the plot wasn't strong enough to keep me engaged, but what did keep me engaged was waiting to see what would come next. The way she kept on getting killed of course reminded me of another time loop horror; Happy Death Day. The special effects are not fantastic, but they are adequate, CGI is used in quite a few places and kind of works for the most part though elsewhere look super imposed to the movies detriment. Elsewhere practical effects such as an eyeball hanging out of someones eye socket, an arm severed in a slammed door, and constant nosebleeds all look great in an old fashioned video nasty style. There is so much blood in this film, something I approve of. Due to the time loop construct we get to see Morgan suffering in a multitude of different ways. While there isn't anything to get your teeth into in terms of her character (aside from confusing flashbacks indicating she wasn't loved as a child) it was pretty cool that she is very much a flawed heroine as she makes so many mistakes over the course of the film. Whether it be over confidence (loop 1), badly thought out plans (loop 2), wrong ideas about things (loop 4) she manages to come across as more human than her brief lines would give credit for. Often she is determined to stand and fight as opposed to run but her skills never match her one liners. She has some great moments though, such as loop 3 when she discovers there are zombies this time around she just bursts out laughing at the ridiculousness of what she has found herself facing. The soundtrack was strong, in fact maybe the best thing about The Campus, as was the performance of Bryant. She spends around 90% of the film alone and so has to carry the plot along without having anyone else to riff off. Due to her flaws I did like her here, but as I said she was a bit of a blank slate and so I found myself not really caring about her plight that much. The directing is all fine, though I found some of the editing obvious in how it was disguising the limitations of the budget (this is an indie film after all). 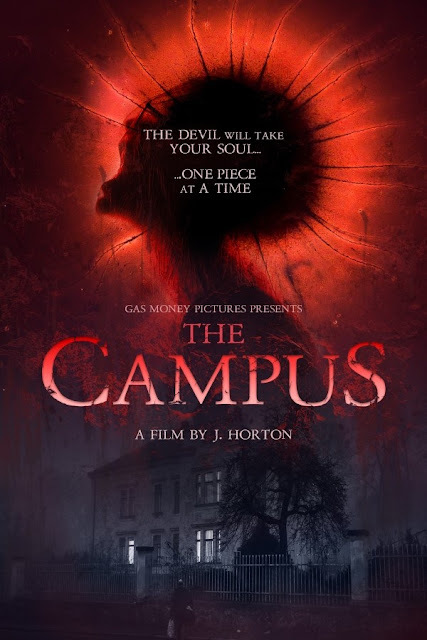 The Campus isn't an amazing film, but it is a neat little bloody pick 'n' mix that is going to have at least one element of horror that appeals to you. 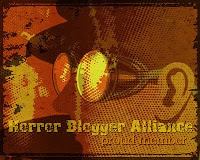 There is a nice line in blood and gore, and while the simple plot never really hooked me I still found myself forever interested to see what was going to happen next. The Campus is available exclusively on Amazon Instant currently, with it coming to iTunes and VUDU at the end of the month. Then in April it is coming to DVD and Blu-Ray.